The new NHS 10-year plan: What does it mean for ovarian cancer? The NHS Long-Term Plan is a new strategy to protect and improve the nation’s health through a series of ambitious pledges. The Plan was written to maximise a government budget increase of £20 billion a year by 2023 for NHS services in England. Ovarian Cancer Action collaborated with Ovacome, Target Ovarian Cancer and The Eve Appeal to make a joint case in response to NHS England’s call for ideas, experiences and recommendations from staff, patients, clinical experts and patient representatives to help shape the Plan. Ovarian cancer patients to be given information about clinical trials and research opportunities (to give women the option to take part in breakthrough treatments and to ensure innovation for future generations). The NHS Long-Term Plan was published in early 2019. We take a look at some of the key ambitions and what they mean for ovarian cancer. What the Plan says: One important goal is to increase the proportion of cancer cases diagnosed at an early stage from 50% to 75% by 2028. The Plan estimates 55,000 more people will be alive five years after their diagnosis if this is achieved. It’s no surprise early diagnosis is seen as instrumental to a dramatic increase cancer survival as Prime Minister Theresa May set the ambition in October 2018. Despite the good news that cancer survival is the highest it’s ever been, the UK’s survival rates lag behind many of its European neighbours’. A shift towards earlier diagnosis is seen as key in the effort to close this gap. Why it’s important for ovarian cancer: Women have a 90% chance of survival when diagnosed at stage one, which drops to 19% when caught at stage three. Unfortunately, one of the reasons for poor ovarian cancer survival is it’s tough to catch early - about a half of ovarian cancer cases are diagnosed late. Ensuring women are diagnosed as early as possible is a priority for OCA. Click here to read about Professor Ahmed at Oxford University who we’re funding to develop the world’s first ovarian cancer screening tool. 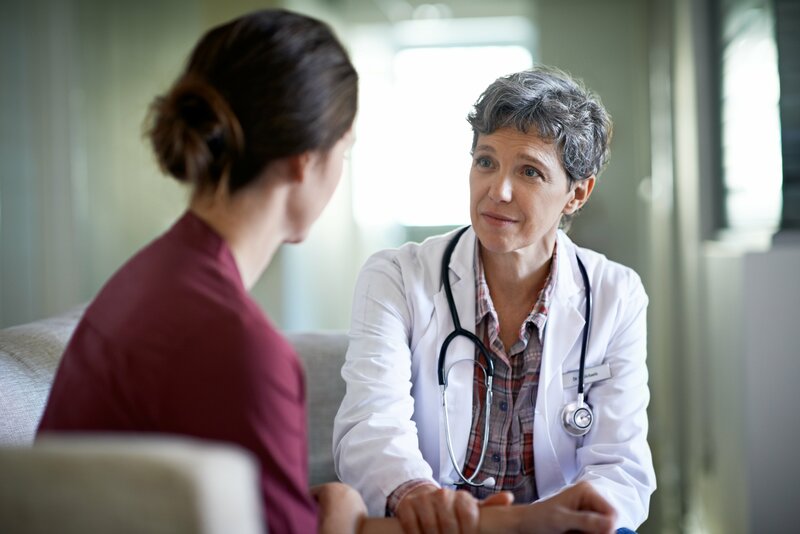 We also run educational GP training sessions to help doctors spot ovarian cancer cases quickly, and our symptoms diary helps women track the potential warning signs more easily. What the Plan says: For those cancers where there are currently fewer and riskier treatment options, the NHS will ensure greater access to specialist expertise and knowledge in cancer treatment... starting with ovarian cancer. Why it’s important for ovarian cancer: With the exception of a few recently approved drugs, the vast majority of ovarian cancer patients are restricted to the treatments chemotherapy and surgery – and there are huge disparities in survival rates depending on where treatment is given. This is largely because access to expert treatment, particularly specialist ovarian cancer surgery, varies considerably around the UK. 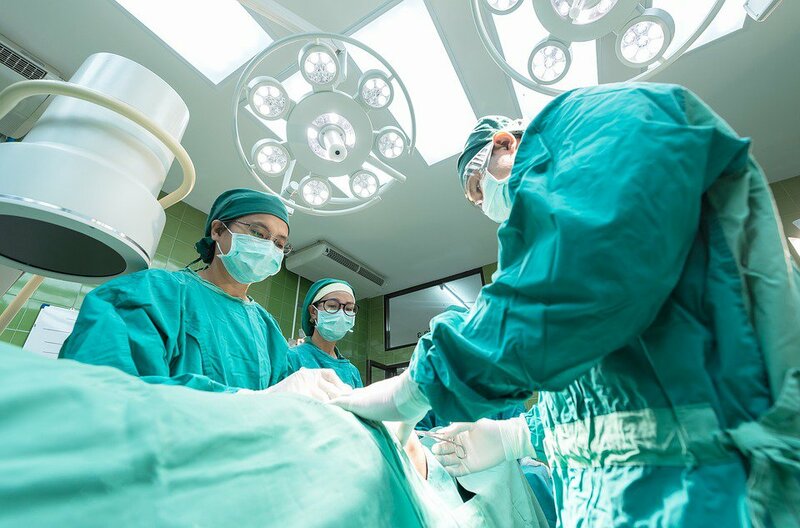 Research strongly suggests that women treated by a specialist gynaecological surgeon in a specialist centre have better outcomes than those treated by a general surgeon in a general hospital. So it’s encouraging to see the Plan prioritise ovarian cancer in plans to improve access to expertise and specialist treatment. At OCA, we believe that women facing ovarian cancer must have equal access to equally excellent care, irrespective of their postcode. We’re also determined to pin down exactly why – as well as receiving specialist surgery – patients do better in some areas of the country than others. Back in March 2018, we launched a Government petition to fund a clinical audit of ovarian cancer and get to the root of regional variation. Thanks to the incredible 12,421 signatures our petition received, the audit is being considered by the Government. Find out more about the next steps in our campaign to transform ovarian cancer survival rates. What the Plan says: Safer, smarter and more precise treatments, such as immunotherapies, will continue to help improve cancer survival rates. It’s also interesting to note the nod to immunotherapies – a group of treatments that harness the power of the patient’s immune system. Unfortunately, ovarian cancer is not yet among the group of cancers that can be treated by a form of immunotherapy. However, the past decade has seen a surge in the number and types of cancer patients benefiting from these treatments. Read about how we hope to unlock immunotherapy’s potential for women facing ovarian cancer through our new immunotherapy challenge, one of Ovarian Cancer Action's research funding programmes. What the Plan says: The NHS hopes to offer more effective treatments tailored to the individual. 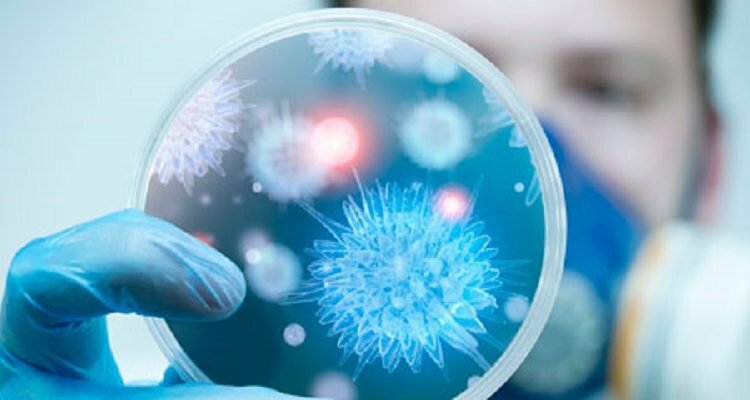 For example, the Plan describes how doctors can now anticipate and choose the best cancer treatment for their patient based on the genetic profile of their tumour; and how advances in immunotherapy mean scientists can genetically enhance a patient’s own cells to create remarkable new treatments. 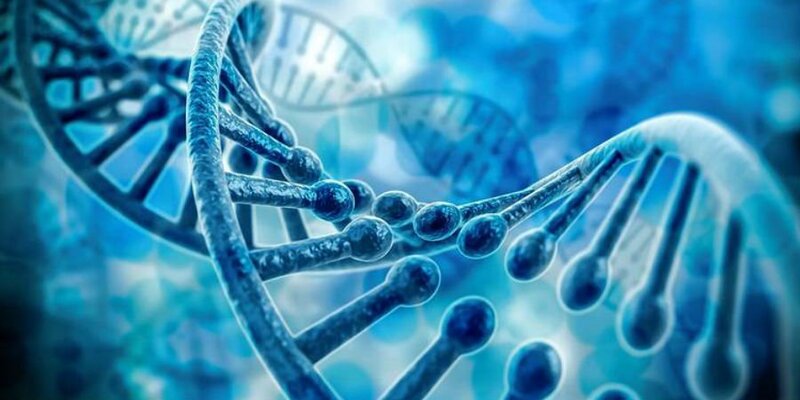 Why this is important for ovarian cancer: Whilst the Plan did not mention ovarian cancer specifically, we are determined to see women with, or at risk of ovarian cancer benefit from personalised medicine. Last year, we made an important step towards personalising ovarian cancer treatment when scientists published promising results from a pioneering study we co-funded called BriTROC - the British Translational Research Ovarian Cancer Collaborative. BriTROC used big data to look for genetic patterns in ovarian cancer cells and make sense of the disease. The researchers found seven distinct signatures that can occur in the disease. They believe these different genetic signatures will explain why some ovarian cancers respond better to particular treatments than others. Researchers are now investigating how these patterns can be used to help doctors choose the best treatments for their patients. Click here to read more about the exciting findings from BriTROC. Why this is important for ovarian cancer: We know research saves lives. It is the greatest tool we have in our mission to overcomes the toughest challenges in ovarian cancer. OCA has funded £11.4 million of ovarian cancer research since we began in 2005, and has seen many important breakthroughs in that time. We’re excited to see the Plan lay out a set of ambitions that, if achieved, will help excellent, patient-driven research to thrive. “This ten year plan for the NHS is deliberately ambitious and it is promising to see that the Government hasn’t been afraid to set some really hard targets for itself. Some of the goals, including achieving 75% of all cancers being diagnosed at early stages, will only be achieved with many different parties working together. “Charities like Ovarian Cancer Action will have a big role to play in supporting the Government achieve its ambitions. The focus on genomics, research, early diagnosis and personalised treatment across the NHS should deliver big steps forward in ovarian cancer survival, and we’ll be both working closely with the Government and holding them to account to make sure the increased focus in these areas deliver better survival rates for women with ovarian cancer.” – Marie-Claire Platt, Head of Public Affairs.